I submitted a picture of this spider earlier today. It has since been identified as a Golden Orb or Golden Silk spider. 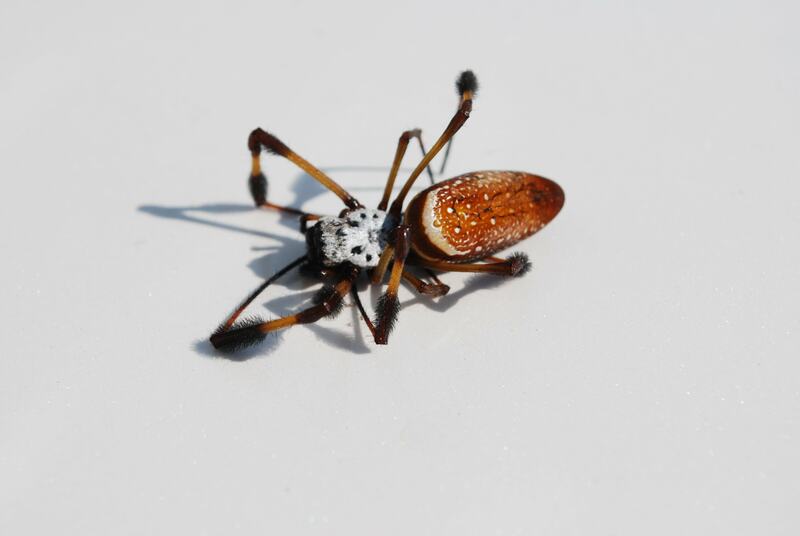 This is another angle of the spider that shows more of it body. Thank you for the new angle. Your photo is clearer than most we receive of Nephila clavipes. The tufts of hair on the legs are kinda cute.